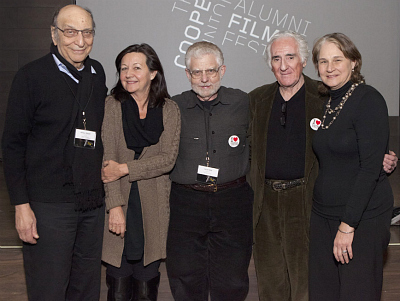 Four weekends of films written, produced, directed, created or about Cooper Union alumni were screened at the inaugural Alumni Film Festival. Highlights included shorts by experimental media pioneer Stan VanDerBeek (A’56), a screening of John Hejduk: Builder of Worlds, and Q&A’s with Milton Glaser (A’51) and Patty Jenkins (A’93), the director of Monster. 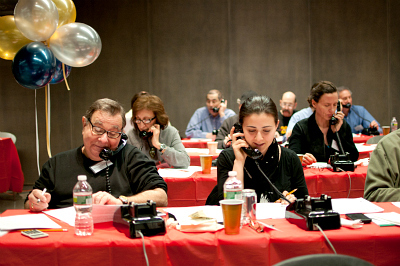 Thanks to all the volunteers who called alumni and parents during the 2011 Phonathon! Their participation was essential in meeting and exceeding our goal of $400,00 for the Annual Fund and assuring that The Cooper Union continues to be an exemplary and tuition free educational institution. 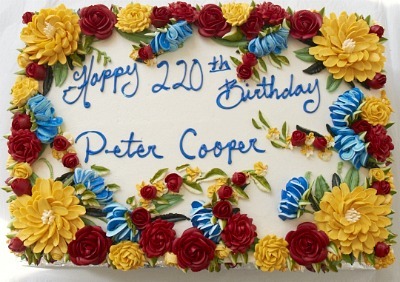 Peter Cooper’s 220th birthday was celebrated at the Wreath Laying Ceremony attended by faculty, staff, students and alumni. Held in Peter Cooper Park, the event featured the Cooper Union Alma Mater, “Maroon and Gold,” led by Evan Field (ChE’14), accompanied by ProMusica members and organized by Ethan Elenberg (EE ’12). After the traditional laying of the wreath on statue of Peter Cooper (sculpted by alumnus Augustus Saint-Gaudens A’1866) with a wreath, the attendees enjoyed cake and hot cider in the Foundation Building. 36 alumni and 40 students took part in this networking event that brought students from all engineering disciplines together with alumni who have personal and professional experiences to share. Alumni represented engineering, banking, medical, legal and other fields. Students were encouraged to be proactive by introducing themselves to alumni, and asking questions about graduate study options and professional licensing, as well as about balancing work and family, and tips for getting interviews. 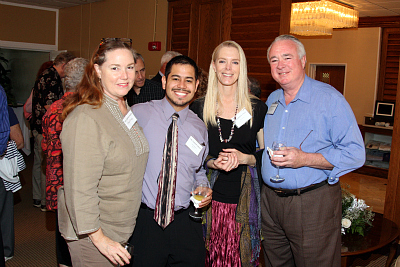 The alumni enjoyed the opportunity to network with each other as well. Engineering Career Night is one of two annual alumni-student networking events organized by the Center for Career Development and the Office of Alumni Relations. The other is Mock Interview Night held in the fall. 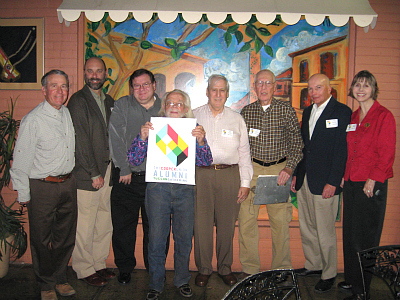 At the first alumni event in Tucson, organized by Ron Carsten (EE’69), the second in Arizona, 15 alumni and guests enjoyed meeting each other for lunch and reminiscing about Cooper Union. Click here for more photos and here for a video slideshow. Contact Janet Reed (Phoenix) or Ron Carsten (Tucson) if you are interested in attending future Arizona alumni events, and click here for the Arizona Alumni Group. The Florida Chapter of the CUAA held an afternoon of cheer and camaraderie at the Annual Founder’s Day Luncheon at the Coral Ridge Yacht Club in Ft. Lauderdale. 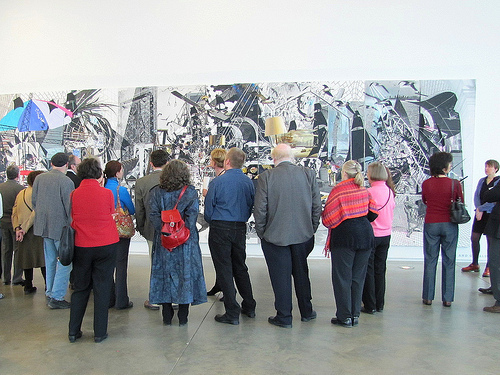 CU Alumni in Boston toured the Institute of Contemporary Art/Boston, designed by Diller, Scofidio + Renfro on April 6. 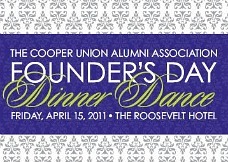 The event was followed by a reception at Foley Hoag LLP hosted by Paul Bork (EE’71), with guest speaker Dr. George Campbell Jr.
Join the CUAA at the Roosevelt Hotel on Friday, April 15, for the Founder’s Day Dinner Dance. 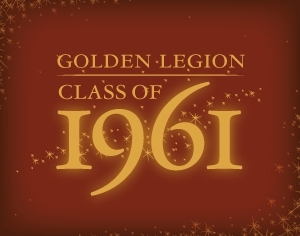 Honor alumni achievements, celebrate Peter Cooper’s 220th birthday, and recognize the 25th year reunion of the Class of 1986. 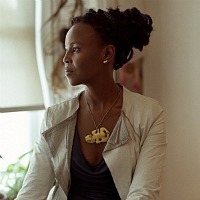 Wangechi Mutu (A’97) is a Kenyan-born artist currently residing in Brooklyn, New York. Her work is commentary of a social and personal nature where the female body functions as a site of engagement and provocation. 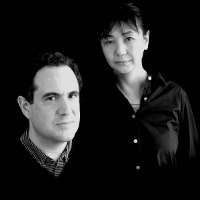 Jesse Reiser (AR’81) and Nanako Umemoto (AR’83) have practiced in New York City as Reiser + Umemoto, RUR Architecture P.C. since 1986. They recently won international competitions to design the Kaohsiung Port Terminal and Taipei Pop Music Center. Read more. 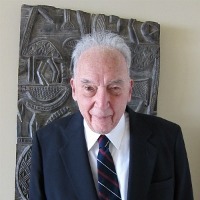 Charles Bliss (ChE’39/PDE’48) has had a long and international career in power plant technology, promoting and developing local energy in all five continents with a focus on the developing world. He is VP of Engineering at Moseley Horizon, Inc. Read more. 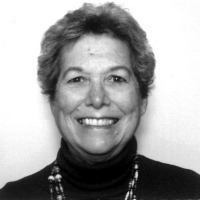 Mina Greenstein (A’56) is a graphic designer and art director for children’s books who has worked extensively in publishing. She serves on the Augustus Saint-Gaudens Award Committee and is the Alumni Representative to the School of Art Administration Committee. Read more. Karina Tipton (CE’99) is a Senior Engineer with Brown and Caldwell, where she provides proactive solutions to environmental problems using sustainable practices. 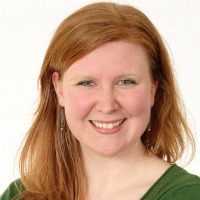 She is the Co-Chair of the Editorial Committee and serves on the Alumni Council. Read more. 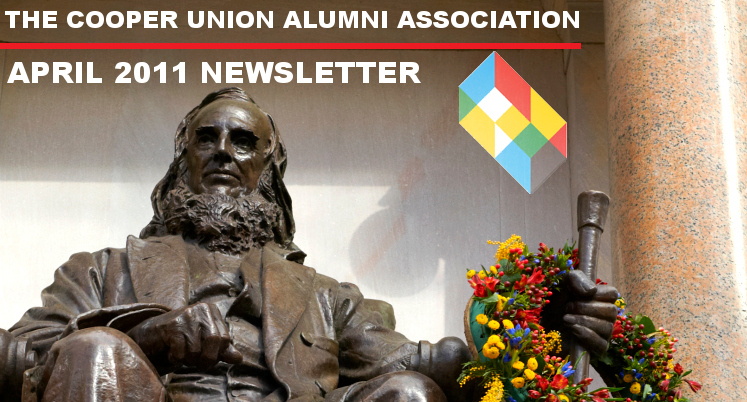 The April 2011 news from Dr. George Campbell Jr.’s office includes alumni, faculty, staff and student accomplishments, as well as information on recent and upcoming Cooper Union events. Click here to replay the webcast welcoming Cooper Union’s 12th President Jamshed Bharucha, and click here to learn more about Dr. Bharucha. When the Alumni Council Communications Breakout group was asked to select one goal to focus on, it chose increasing fans for the Facebook page. That initial goal has been met and there are now over 1,800 members of the online community. Recognizing the accomplishments of CU alumni, the Hall of Fame includes nearly 300 distinguished individuals. This month museum exhibit designer George Gardner (A’51), architect Richard Stein (AR’37), and technology leader Marie Wieck (Eng’82) are featured on the CUAA website. Read about these Hall of Fame members. Click here to log into the online CUAA community, and connect to your classmates through alumni notes, groups, and the alumni directory. Share recent news and accomplishments by submitting an Alumni Note. The difference between a good institution and a great one is the support of its alumni and friends. Support the college’s core needs by giving to the Annual Fund. Date TBA, contact Stan Goldstein (EE’51) for more information. Make sure you cast your vote for the CUAA leadership! Please submit your vote electronically or by mail by May 1. Contact meier@cooper.edu if you have any questions. 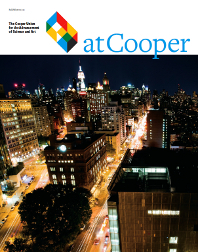 The Fall/Winter issue of At Cooper is available online. Want to share your latest accomplishments and significant events with your class members? Click here to submit an alumni note that will be published in the CUAA online community. An online listing of alumni exhibitions around the world is available on the CUAA website. Click here to view them all. To submit a listing, email Allison Meier at meier@cooper.edu.